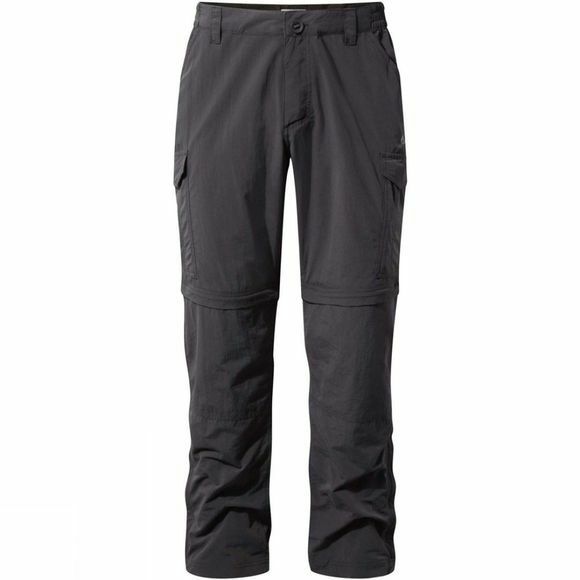 The Mens NosiLife Convertible Trousers from Craghoppers are ideal for keeping things simple when packing for a hot-climate trip and you want to get the most out of every item. NosiLife convertibles are the perfect travel companions. Lightweight and versatile, they provide permanent protection from midges and mossies, as well as shading tender skin from the sun’s rays. But they also allow you to toggle between long and short leg versions, thanks to the zip-off legs.